Liz Marie of Liz Marie Blog placed unadorned green foliage across her mantel where it draws the eye to the antique frames above. She paired the garland with white candlesticks and hung stockings for a look that’s full of rustic charm. Michael by Inspired by Charm chose a traditional red theme on his mantel to go with his brick fireplace. For the mantel, he laid a pre-lit garland decorated with Christmas ornaments and pinecones. The patterned stockings made a charming finishing touch. Brendt of She Gave It A Go went for a traditional farmhouse look on her fireplace mantel. 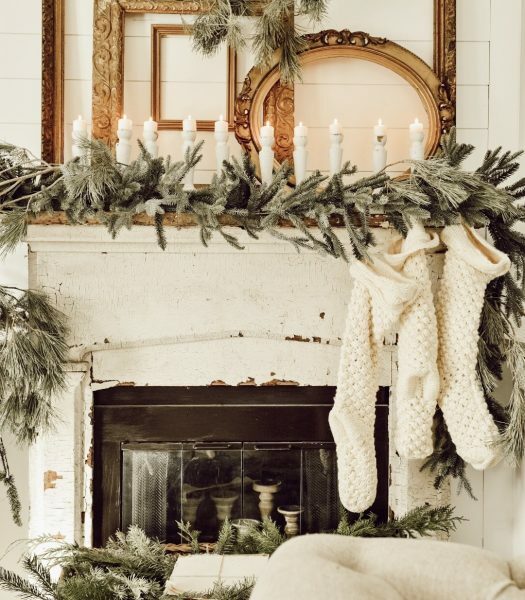 She used a frosted garland and chunky knit stockings for texture. The wooden candleholders added a touch of nostalgia to her display. The fireplace is the focal point of the living room, so you can start on the mantel and work your way from there. 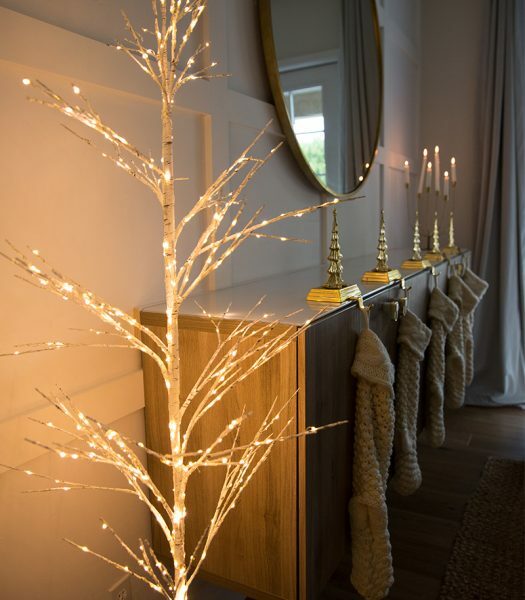 Drape a garland across the surface, add some candles, and hang your stockings. 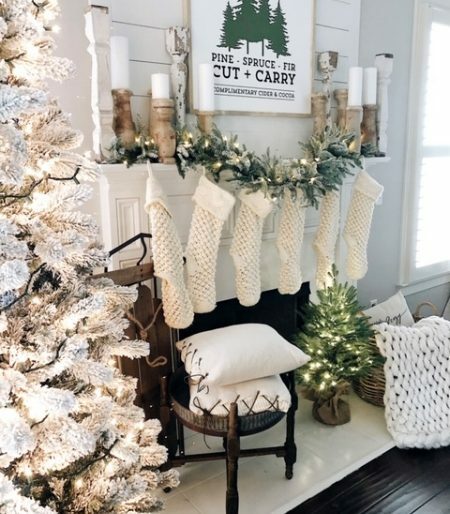 See how our brand ambassador Liz Marie, Michael of Inspired by Charm, and Brendt of She Gave it a Go styled their mantels this year. 3. No Mantel? No Problem. 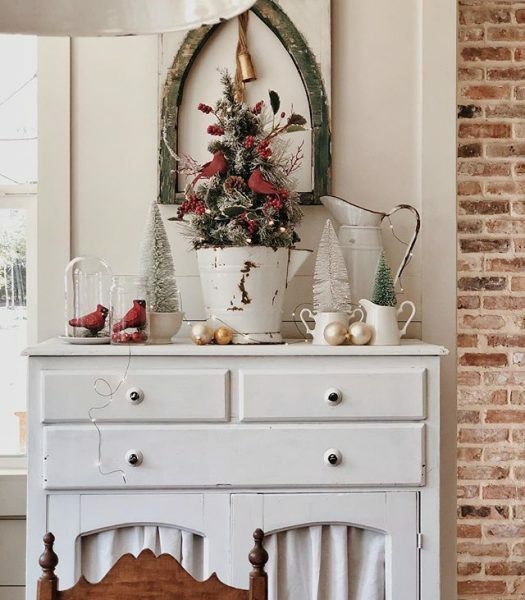 Jamie of Whitetail Farmhouse decorated her living room dresser with a tabletop tree. The touches of reds and greens added a festive splash of color to her furniture. Brendt of She Gave It A Go placed a frosted wreath above her living room dresser. The foliage she used as accent complemented her furniture’s distressed wood finish and added interesting texture to her décor. 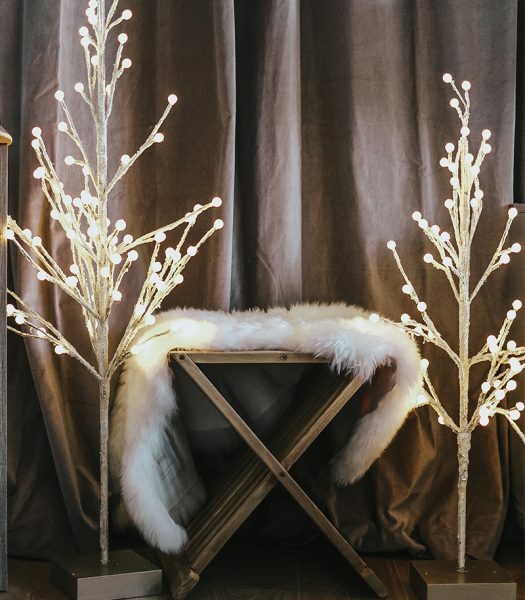 Bethany of The Posh Home placed a winter birch tree in her living room. The warm glow added to the room's relaxed ambience. 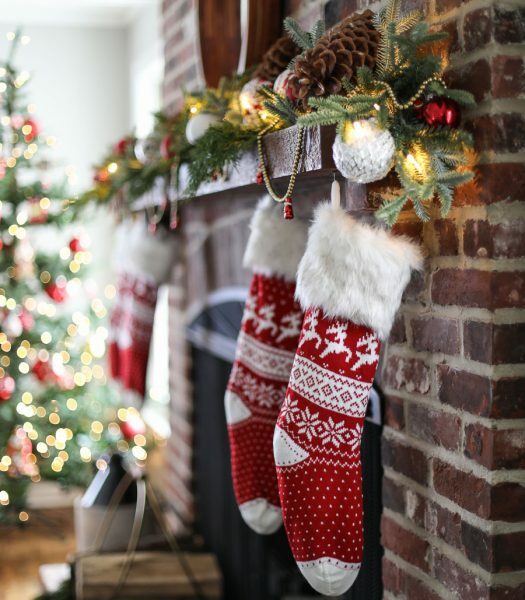 To add a festive touch, she then hung stockings with Christmas tree stocking holders on her sideboard in place of a fireplace mantel. The ivory-colored stockings complemented her living room’s neutral décor. If you don’t have a fireplace or mantel, you can spruce up your accent tables or dressers instead. In the photo above, Jamie decorated her distressed white cabinet with everyday things she pulled around the house. 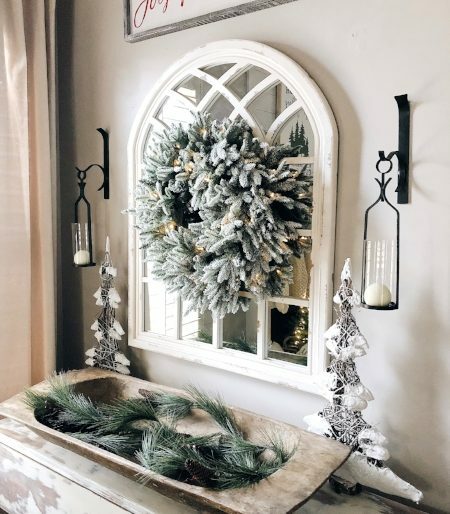 Brendt hung a frosted wreath above the console table in her living room, while Bethany of The Posh Home kept it minimal with a few stockings and a white LED birch tree. 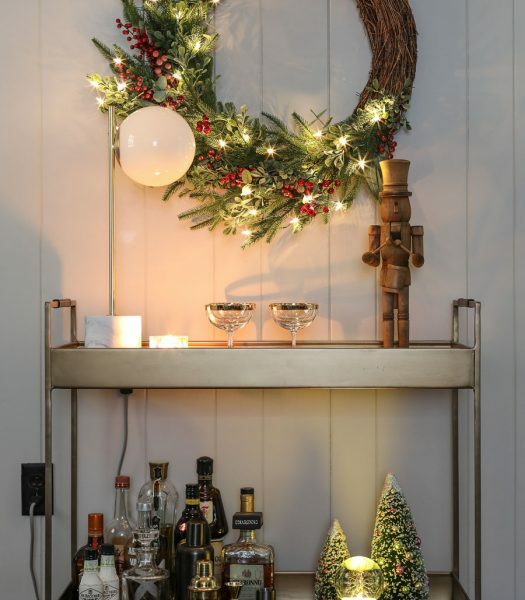 Michael of Inspired by Charm gave his bar cart some holiday flavor by hanging a Christmas wreath above and switching a few decor pieces. Bethany of The Posh Home displayed small trees that light up to create a cozy ambience in her bedroom. She laid thick fur on a chair for added texture, making the display look even more comfortable. 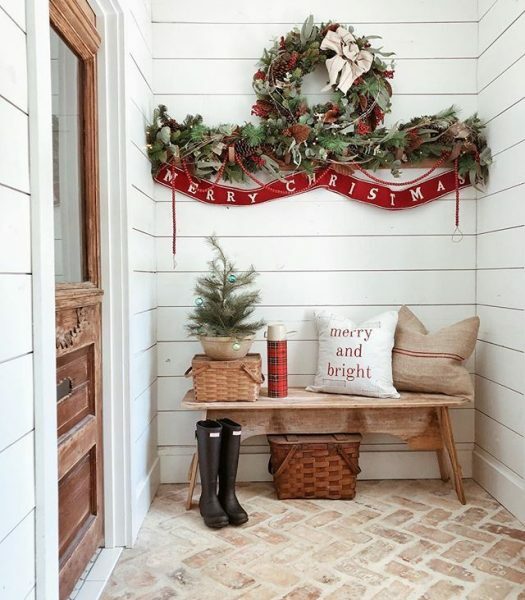 You can also keep it simple by adding holiday accents to other parts of your home. 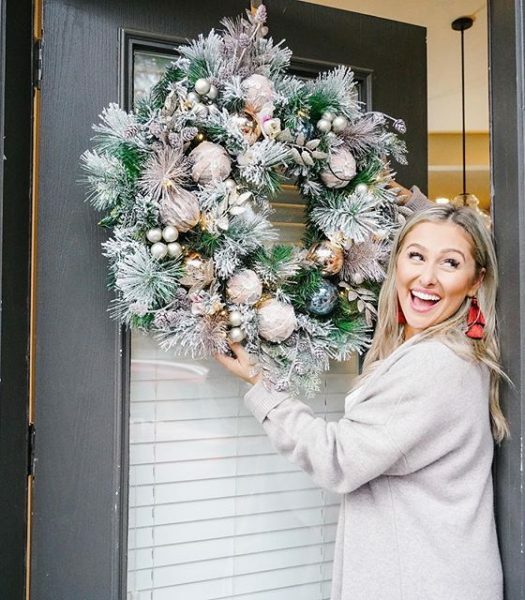 A wreath above your bar cart, a couple of LED trees in the bedroom, or some of your favorite Christmas décor on the shelves could do the trick. Have you started decorating yet? Where do you usually begin? Let us know in the comments! Don’t forget to visit the Balsam Hill website to see our collection of foliage and Christmas décor. 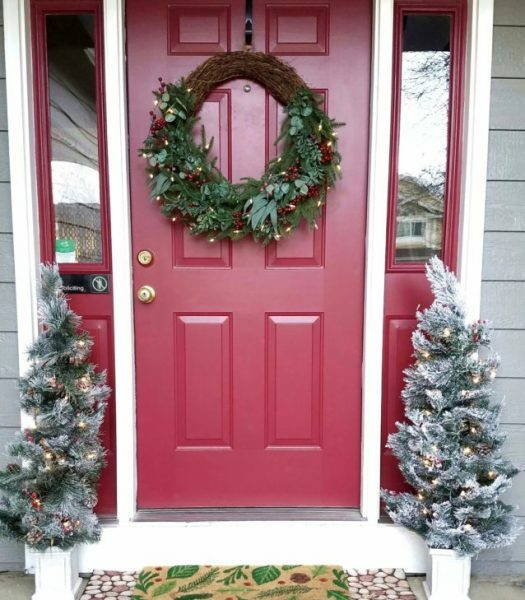 I love all your decor but I think my favorite piece is the wreath. It has such a unique look.